Tyson Graham uses colorful redware ceramics to depict the seasonal variations of life and nature in the foothills of Western North Carolina. Working primarily with gas fired red earthenware and slip decoration, he creates functional, hand painted pots adorned with flowers, birds, leaves, trees, as well as folk instruments. By decorating large numbers of pots serially, with fluid brushwork and unrestrained sgraffito, he often pushes patterns to the point of abstraction. This process itself becomes a meditation on the essence of a unique region nestled between the Blue Ridge Mountains and the Piedmont of South Carolina. 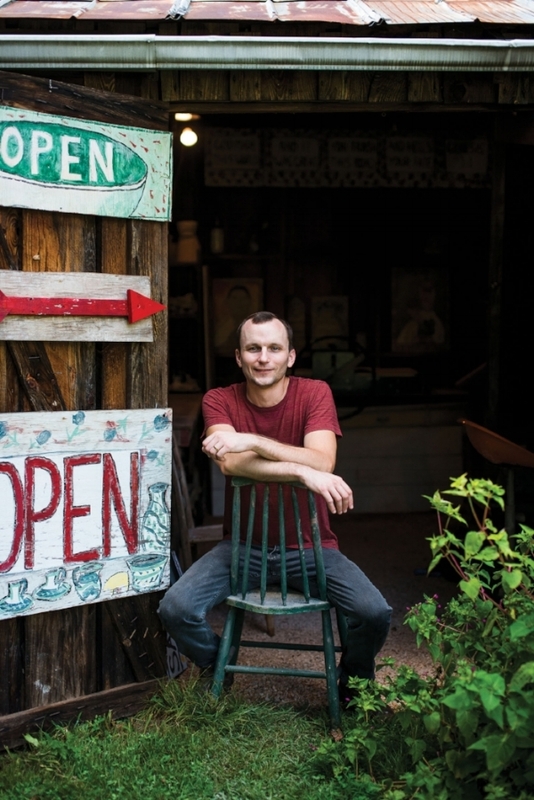 Graham holds a Bachelor of Fine Arts from the University of South Carolina and apprenticed under Claude Graves of Little Mountain Pottery. Outside of the studio, he enjoys playing the guitar, bass, fiddle, and banjo and backpacking the trails of Appalachia. Graham is currently based at Little Mountain Pottery in Polk County, NC.